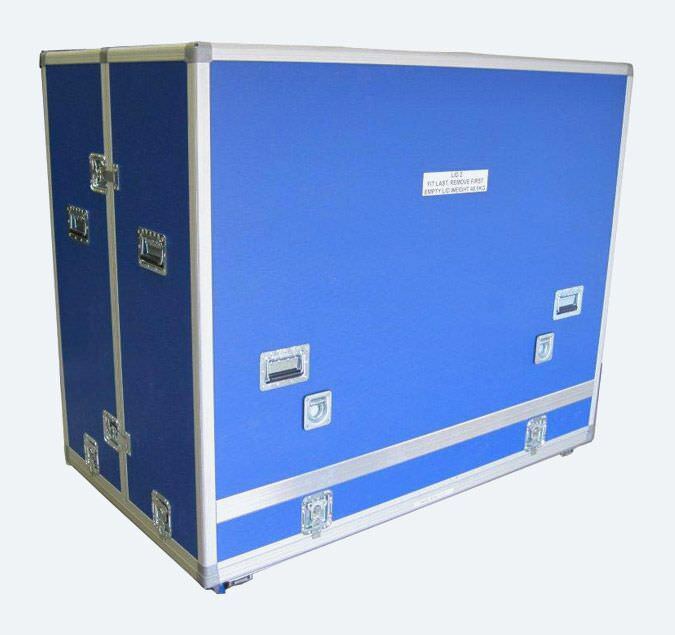 Custom flight cases enable us to provide you with virtually any size of case. 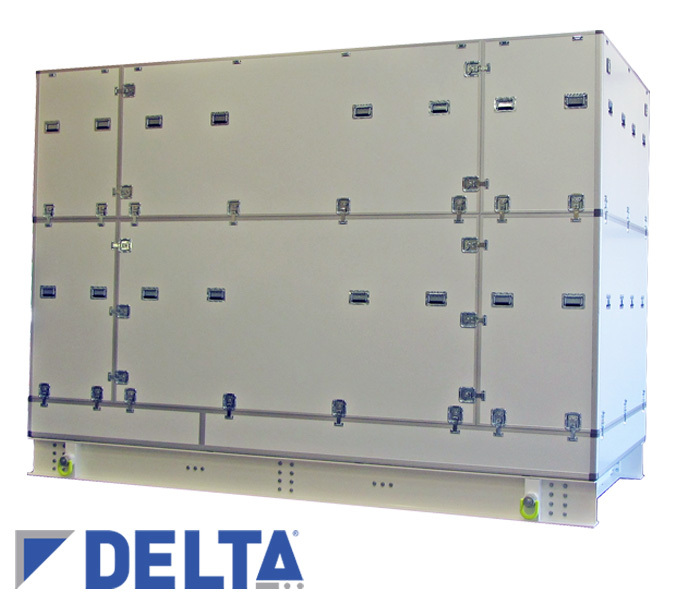 Supplying both traditional and Delta cases with panels in plywood along with plastic and aluminium honeycomb, we can offer products to exactly match your requirements. Many colour options are available along with a multitude of interior and exterior fittings. We work with you to determine the best solution. 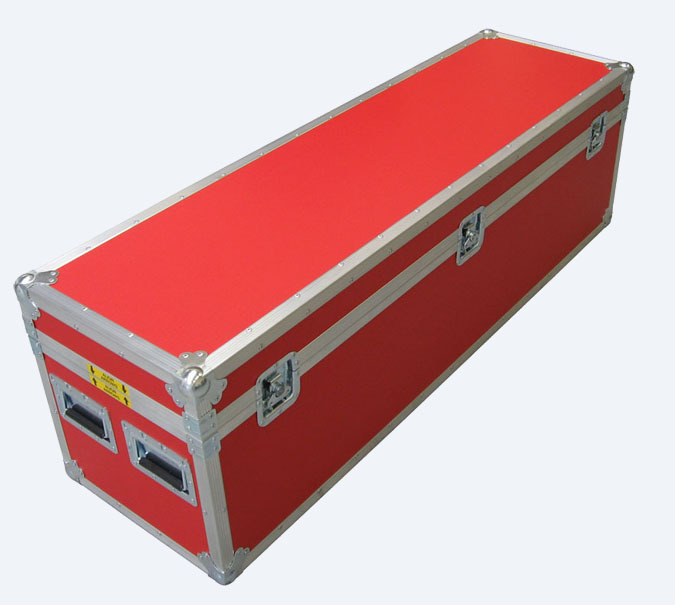 Flight cases can be made to practically any size to suit your contents. Extrusions and panels are cut to order then built into a case of the desired dimensions. This results in a product that is often both smaller and lighter than many other off the shelf alternatives. 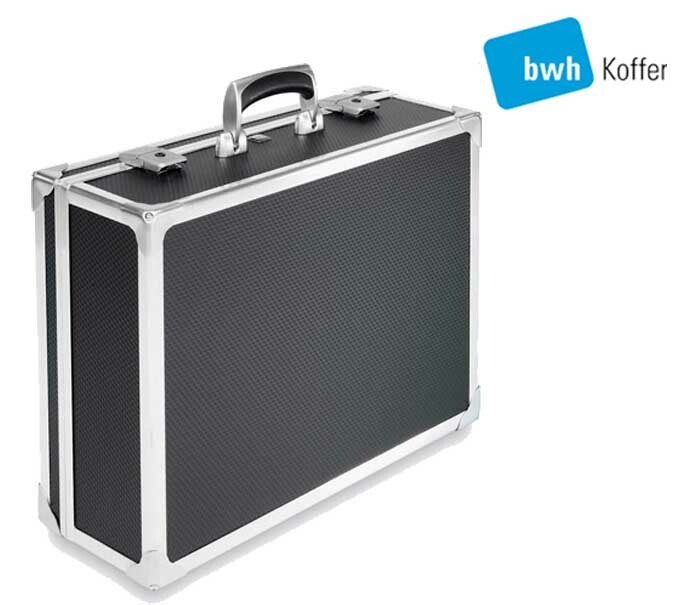 This advantage can be very useful when large numbers of cases need to be shipped as a set. 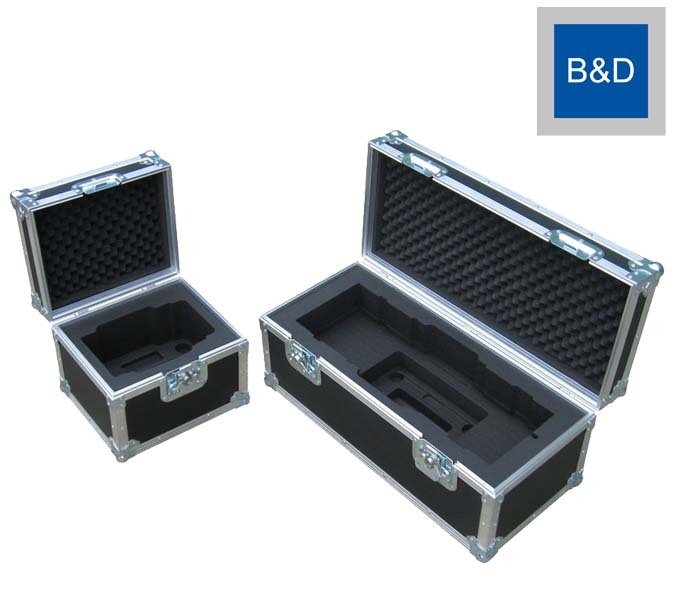 No minimum order quantity applies to this bespoke design and manufacture case solution. The options for case customisation are almost limitless. Extrusions can be plastic or aluminium. Panels in timber, plastic or aluminium honeycomb. There are many standard hardware options to choose from including handles, tie down and lift point, stacking features, wheels, ratchet straps, document holders and labelling. All come in various styles and finishes. Bespoke engineered options are also available such as foam cushions, internal brackets, castor covers and fabric tarpaulins. 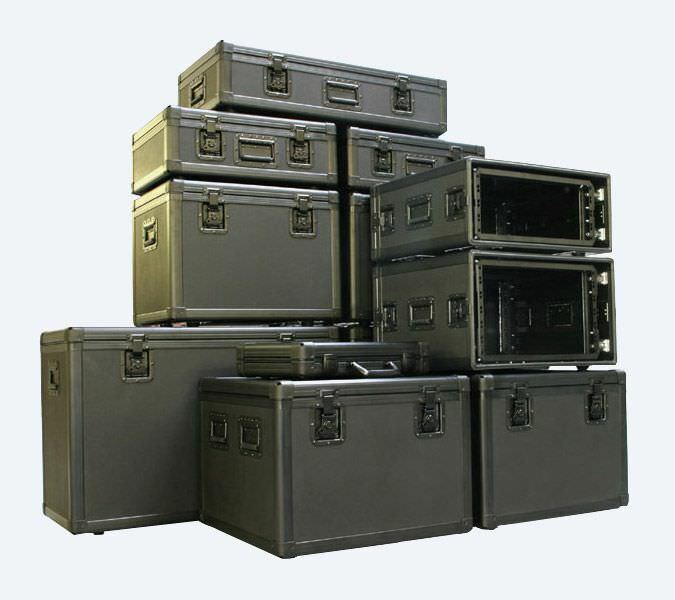 Many packaging requirements can be met with flight cases. Barum and Dewar have supplied cases to safely transit items as small as helmets to four metre high space craft. 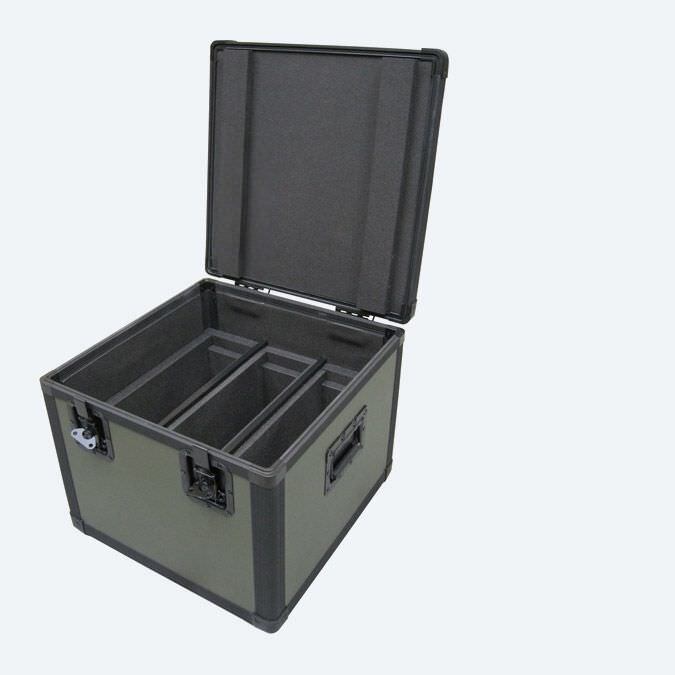 Larger cases are designed in sections to be easily latched together on site. Cases can be used as part of exhibition displays to ease movement of heavy items in restricted areas. 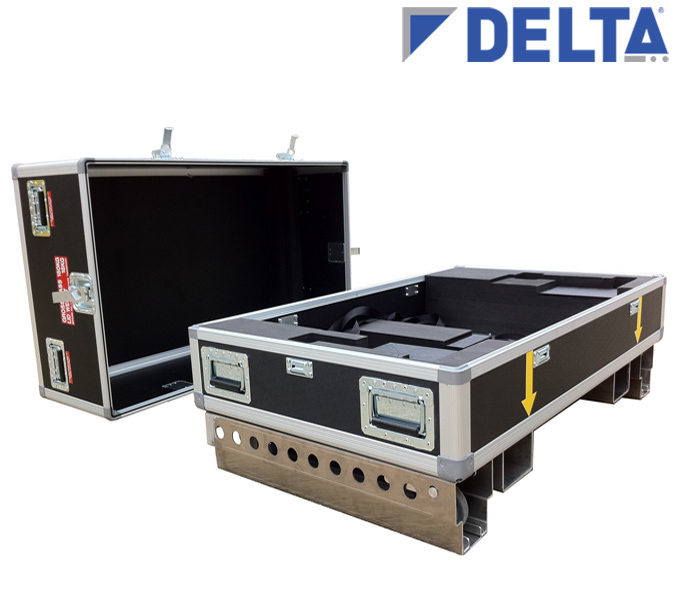 Flight cases can also be manufactured with internal 19” rack frames for sensitive electronic equipment transport and deployment. Development in design now means flight cases can be visually appealing, further extending their range of use. Barum & Dewar specify and supply bwh’s series of fully customisable aluminium frame cases. Elegant and ergonomic, cases are manufactured from robust materials with high quality finishes. Surfaces, colours and interiors can all be selected from a broad range of options. bwh ARB case shown, we also supply AES, AEX, ARK, AZK/E ranges.